The Master Lock No. S1705P410 Compact Safety Lockout Station features durable polycarbonate construction for years of use in corrosive environments and measures 9-3/4in tall x 7-3/4in wide (19.6cm x 24.7cm). 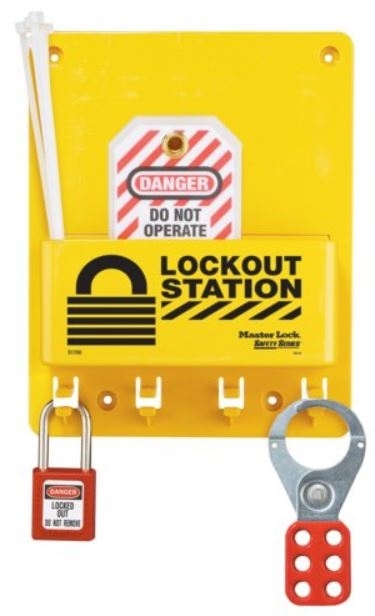 Station includes hasp, tags and an Master Lock No. 410RED Zenex Thermoplastic safety padlock. Four hanger clips integrated for safety padlocks and/or hasps. Includes face labels in English, Spanish/English or French/English.